Ravioli Maker & Cutter Attachment Just $18.96! Down From $50! Don’t miss this deal from Amazon! 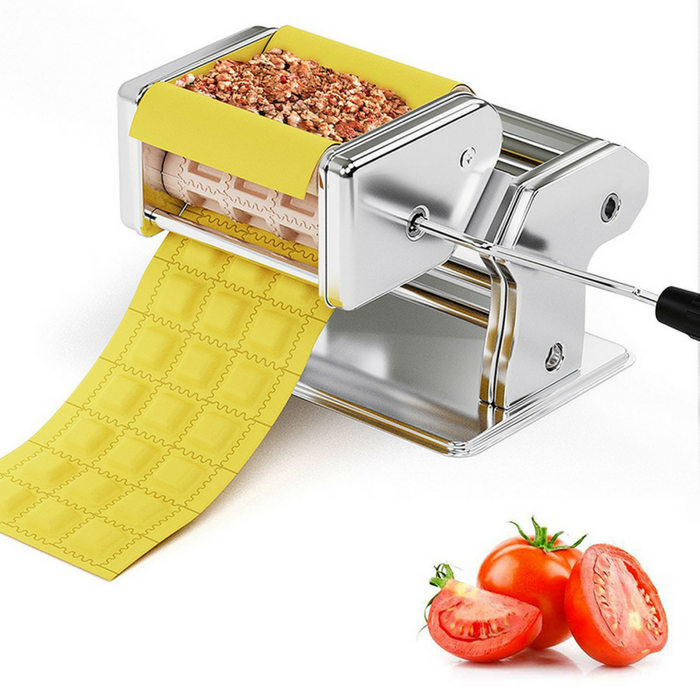 Score the Innovee Ravioli Maker and Cutter Attachment for just $18.96 down from $49.95 when you apply the extra 5% discount coupon located below the price PLUS FREE shipping with Amazon Prime or for orders $25 or more! Are you tired of misshapen ravioli or ravioli that looks too thick or to thin? This Innovee Ravioli Maker and Cutter Attachment is easy to use: it forms, seals, and cuts the ravioli. You can now make delicious homemade ravioli without all the mess and the hard work. You can get shaped and great-tasting ravioli time after time! The Innovee Ravioli Maker and Cutter Attachment attaches quickly to the Innovee Pasta Maker as well as other 150 mm pasta makers brands. Once attached, it allows you to consistently produce ravioli even a professional chef would be proud of! Turn your pasta maker into a ravioli machine that produces perfect ravioli every time! The Innovee Ravioli Maker and Cutter Attachment cuts homemade pasta into smooth, even, great-tasting ravioli use after use. It is easy to use. This ravioli press attaches easily to the Innovee Pasta Maker as well as other 150 mm pasta makers brands. Once attached, its smooth operation will allow you to quickly and easily produce delicious ravioli. Not only is the Innovee 150 mm detachable ravioli maker easy to use, it is also extremely easy to clean. Just use a brush or wet cloth to wipe clean after use!